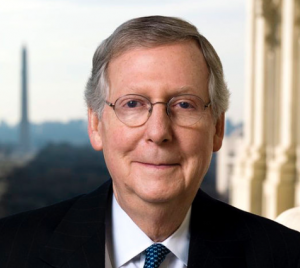 GLASGOW, Ky. — Senate Majority Leader Mitch McConnell says he plans to produce a fresh bill in about a week scuttling and replacing much of President Barack Obama’s health care law. But he’s also acknowledging a Plan B if that effort continues to flounder. Previously, other Republicans have said that if their broad drive to dismantle much of Obama’s law struggled, a smaller bill with quick help for insurers and consumers might be needed. They’ve said it could include provisions continuing federal payments to insurers that help them contain costs for some low earners and inducements to keep healthy people buying policies – a step that helps curb premiums.